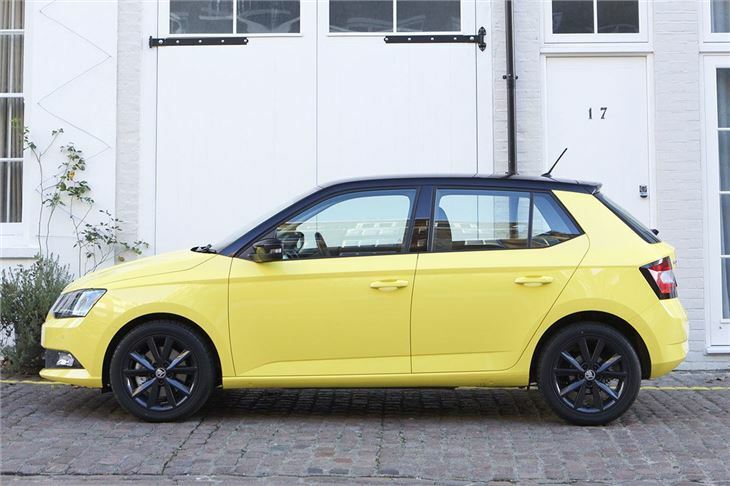 The pick of the frugal range is the 90PS 1.2-litre petrol, which is perky and responsive, but still efficient with official economy of 60.1mpg. 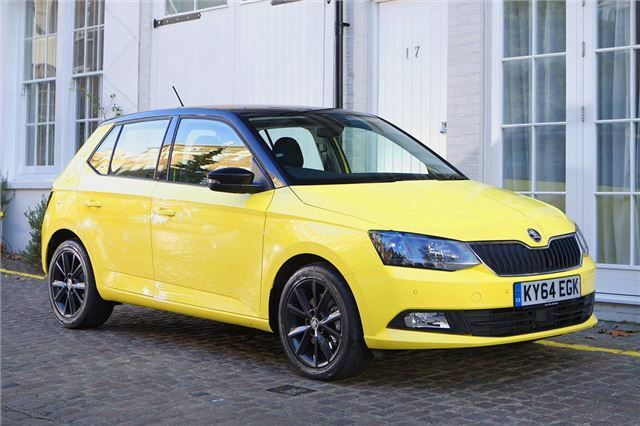 It’s a peppy, sprightly engine that is more than up to the task of dashing up to speed on a motorway slip road and, since it’s turbocharged, it’s flexible and makes driving easy. Peak torque of 160Nm is available from low down the rev range at 1400rpm, so you don’t have to work through the gearbox too much to keep up momentum. For those who want just a little bit more performance the same engine is available with 110PS and a sixth gear, making it a better choice for long distance. The handing is safe and predictable. Suspension successfully blends ride comfort with stability - there is little body roll through bends, but broken British roads don't get uncomfortably bouncy. 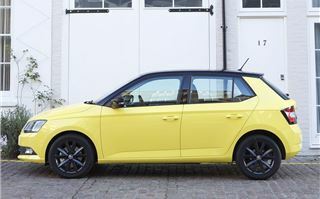 Well-weighted steering is reassuring in the corners but it doesn’t communicate the road surface like the steering in a Fiesta, nor is there the same exciting sense of driver involvement. 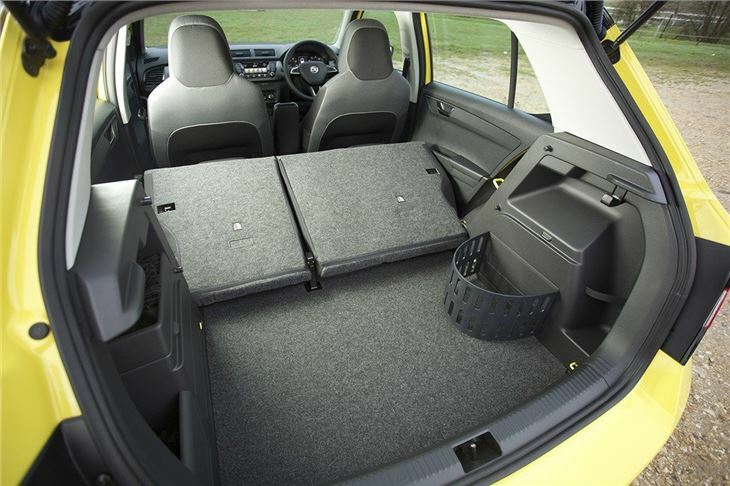 In typical Skoda fashion the Fabia has a practical cabin. 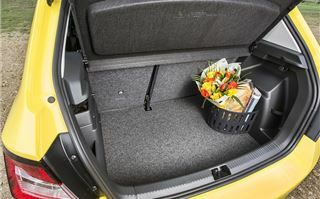 The boot is a good size at 330 litres – significantly ahead of rivals like the Ford Fiesta and Vauxhall Corsa, which have less than 300 litres of space. 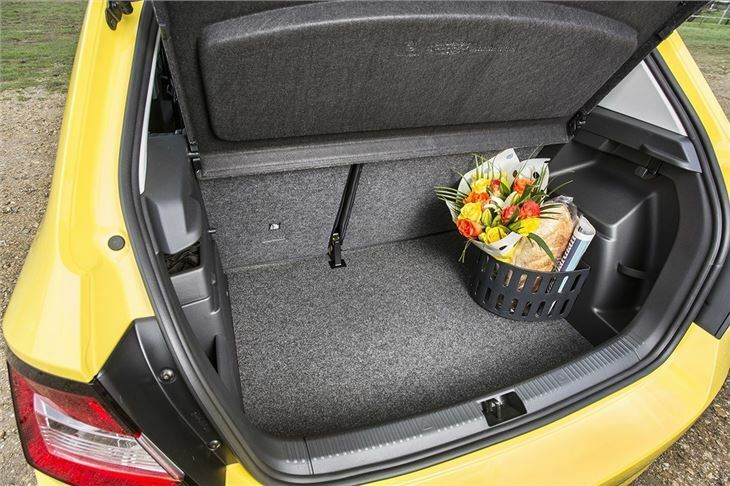 The Fabia's boot has a nice wide opening to aid with loading and there are clever touches like a cargo net and a plastic ‘bin’ to stop bags rolling around. The only minor quibble is a load lip to lift bulky objects over. 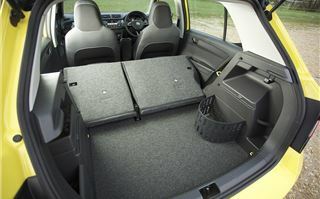 The back row is perfectly respectable for a small car, with space for two adults to sit in a decent level of comfort. 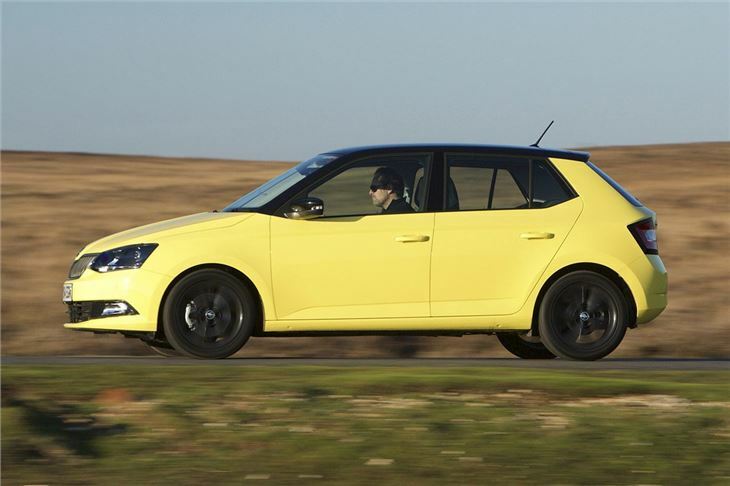 Access is good, since the Fabia is offered in five-door form only – so no scrambling through a tiny gap. Children will be perfectly at home however old they are, thanks to ample headroom and the fitment of two Isofix mounts as standard. Up front there’s a neat dashboard with logical controls and clear dials, with upmarket details such as a touchscreen system. 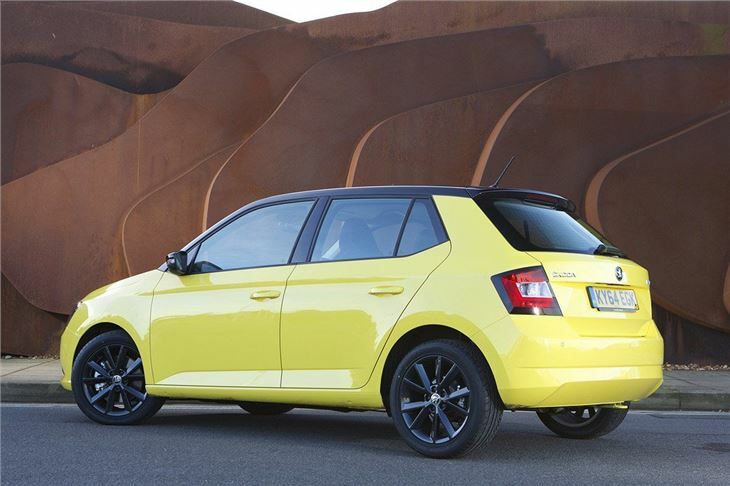 That said, despite more technology being available than before the Fabia does lag a little when it comes to materials, with no plush, soft-touch plastics like you’d see on rival models including the Volkswagen Polo. The touchscreen system is easy to understand and use, with a smart layout, plus it comes with some really nifty features including Mirror Link. This allows you to use the touch screen to interface with smartphone apps including music players and – more importantly – navigation systems. As time goes on more apps will be available and more phones will be compatible. Basic cars do miss out on some key bits of equipment, though, including alloy wheels and air conditioning. That’s not unusual in this class, but it does mean many people will find themselves moving up to SE trim, which pushes up the price of the car. It might be worth it, though, since upper models get some useful gadgets and gizmos. These include cruise control on top SE L models and front assist on SE and above. This will scan the road ahead and brake the car there is a stationary object ahead and the driver fails to react. There’s also an optional hill-hold assistant for £60 and a £50 fatigue sensor that detects when the driver is tired and suggests a break. As is the current trend, some customisation options are available for buyers who want to stand out from the crowd. You can choose from a variety of colour combos, meaning it’s possible to have, for example, a red car with black wheels and a black roof. 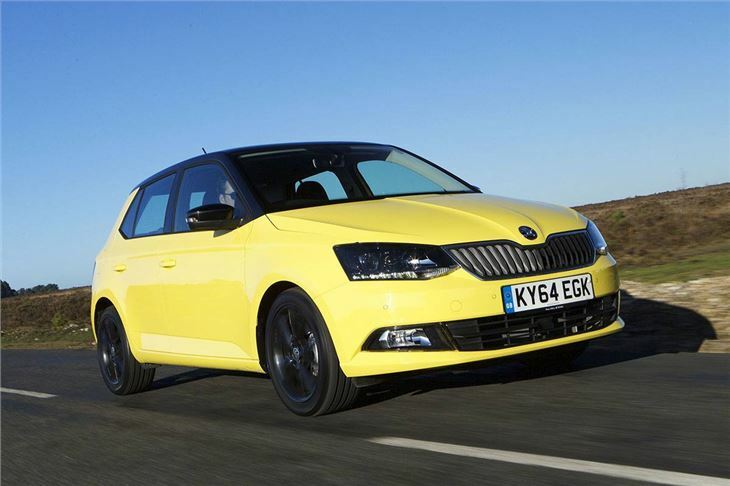 There isn’t huge cost involved and Skoda will only let you choose combinations that it deems to be tasteful. 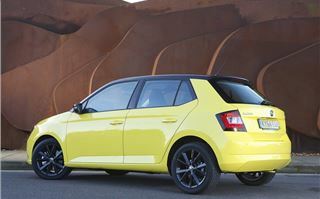 The Fabia feels like a big step forward versus the old model. It's more stylish, has a better cabin and feels grown-up and competent on the road. Yet, despite all of the improvements, it still represents excellent value for money thanks to reasonable prices, decent equipment levels and low running costs. It faces a lot of competition, but it certainly has the right ingredients to be a success.